The preacher asked the question, what does the cross mean to you? I've never taken for granted Lord, all the things you do. I tried to imagine what you went through, to provide for me a way. Because of what you did on Calvary, I can spend eternity with you. 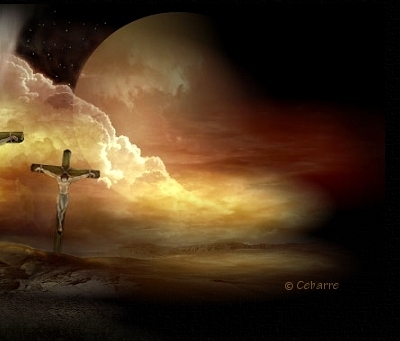 Lord you willingly went to the cross, and lay your body down. Soldiers nailed you to the tree and your blood streamed to the ground. Because of the cross I lift my hands, and praise your Holy name. I can lift my head up high, my heart in pure elation. Because of the cross I won't go to hell, I'll have a home in Heaven above. Because of the cross I can know the fullness, of God's great perfect love. 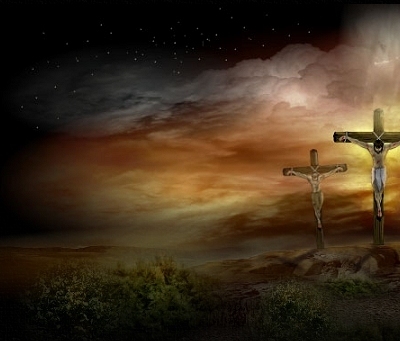 Thank you Jesus, for the work you did, on Calvary's rugged tree. Thank you for giving your life's blood, because of your great love for me. What does the cross mean to me? it's a bridge on which to trod. It's the way that Jesus provided for us to get to God.